October | 2014 | Life is a Crooked and Varied Path. Get On It! It is so fitting of my heritage; the awards that are out there, I get the German one. I learned the definition of Liebster. Cool. I’ll get to that later, I’ve procrastinated enough, I will do this first and finish the nomination later. Since this nomination is about building community with all this links and link backs, I take this seriously. I am a mother of two. A Girl and A Boy. All grown up. I live for spring and summer. I think autumn is pretty, but I start slowing down and I’m not myself during the fall. I can’t stand winter, but I always get excited when it snows. I kind of have a thing for storms up until they get really dangerous. Then we can do without. I tried running a flower shop during the year of the recession when they told us we weren’t in a recession. That went over well. Not. I think I like to cook and bake but when I get into the middle of it, not really. I think I should be more capable than what is going on. I would rather do laundry. I learned how to enjoy household chores and to not run away from them. Enjoy is a strong word. I’ve learned how to not get angry while doing them. I left for 15 days to quit smoking. Broke as ever, I managed to find a cheap cabin at a local lake and I hid out during my withdrawal. Those 15 days were freaking awesome! Really, that is kind of sad because my Husband and kids are the best thing that ever happened to me, and they weren’t there …on top of going through withdrawal. How is that awesome? But it was. If I’d receive a drop sum of $10 thousand today, I’d put my two weeks in tomorrow and stay home for a year to write. I have goals to complete, which is to finish my current 6 book series and finish the quitting smoking book. If I can’t replace my income for a second year I can go to the mall or the local hardware stores and put in my apps on January 1, 2016. I almost don’t care if the books don’t become a huge success Well okay, I care, I know that just writing them doesn’t induce wild success, but they do need to get finished. I have this innate need to complete my writing goals. And that is 11, I guess I am going to end on that random note. My 11 questions from my presenter, the The Crafty Lady In Combat Boots. 1. What is your biggest dream in life? To sit at home and type. Being a writer was never supported by any English or Language Arts teacher ever. It took some time before the dream of being a writer was fleshed out. I do not see the CODE in the English language that my editor sees. Thank God I met her. 2. Are you planning to make it happen and how? Yes! I wrote about my False Quit Dates to quit smoking. Then I entered a zone of perpetual edit, so I joined a writers group. They complimented me and said my perspective compliments wasn’t only for smokers. Since I was in perpetual edit, I just HAD to know life after a manuscript. I figured another exercise I did broke up easily into 6 little books. So far they’ve been about 35 pages long. This way, I can afford to pay my editor. I made book covers. I learned how to format, paginated, and upload the book. I learned the different needs between CreateSpace and Kindle. I have my account set up and I have even had some deposits go into that account. I will write, publish, repeat, 6 times before my big book comes out. Good practice. 3. If you became a millionaire, what would be the first thing you bought/invest in. Oh, I already have a list. For one, I have to make a million. If I live to 100 and I can live off of 2,000.00 a month then I have brought in one million dollars. I probably won’t live to 100 and all those months that I don’t make will go towards end of life expenses, like hospital care, meds, common surgeries in old age. So if I made one million in one year, it is going into the bank, (or investments) with 2,000.00 a month payouts. I have to say that I would be impulsive and pay off my house and buy a new car. I’d still take my year off then do my assessment on Jan. 1, 2016 to see if I would need to go back to work, or live off my writing. I’ll be a little more careless and giving with my second and third million, if it comes my way. I have a plan, I figure I have just as much of a right to see it work as anyone else. I might have the ability to make the millions but I can’t take them with me, so why not leave the planet better than I found it. 5. What is your favorite sport to do? Swimming. Biking. Hiking. Right now, I’m learning how to like running. 6. What is the weirdest thing you’ve ever heard/read of? I think we are tapped out of the weirdest thing. Between the shock jocks, media, the internet, and tats going mainstream; if we haven’t found all the weird stuff to be found then, I think we are used to the shock. It’s time we start moving up before we find a new bottom and are all blasé about it and then find another bottom. This could be me showing my age, except I think I’m hearing it from the 20 somethings too, unless I am just hearing it from a certain group that has always been there and always will be. Anyway, when everything is weird, nothing is weird. 7. What is the biggest reason why you decided to accept this challenge? (I’m assuming the question is directed at Blogging 101.) I wanted to do things on my blog and I wasn’t quite sure how to do them. I always need to improve and do better. I’m not a perfectionist, but I can be meticulous until I decide it is not worth putting anymore time in. Most times I am pretty happy with my work even though I know someone else will come in and do a better job in less time. Someday, I will be able to hire out for services, but I like the idea that I know what is going on, even though I don’t have a firm grasp of it. 8. What would be your dream job? Oh, I’m living my dream job. I just need to get the income generated so I can ditch the job that pays the bills. 9. What is the scariest thing that has ever occurred to you? I was over-employed, working 16 hour days during the weekend and getting 8 hours sleep over the entire weekend and not just in one night. I thought I was making up for it by sleeping extra on the other nights, until I came across a video when streaming videos first came out like YouTube. I fixated on this video of a person falling asleep at the wheel without a seat belt. He rolled his car and he floated into the backseat and his head went out the rear passenger window and the car came to rest with a crunch on the passenger side. (his head was out the window) I can’t believe I kept watching this video. I think I fixated on it because there was no blood and I was trying to see other evidence of the video being doctored. Fake or not, this video resonated right to my core. I was already passing a ditched car here and I would know, that was going to be me falling asleep at the wheel. I’d pass a little fender bender there and think, if I don’t get out of the rat race and slow down, that is going to be me. So when I saw this video it really shook me up. Soon after, I was kicked off the money-maker schedule at my job and I think this was the reason I didn’t fight to stay on it. My journey into underemployment began here and I just took it. It scared me so much that 7 years later, I will not pick up a second job to work that type of schedule again. I will find something else that surpasses that income with less investment of time, more enjoyment, and any stress will be borne of my own and not out of someone else expectations. Blech! 10. (I had to get up and walk off question #10.) What would you do if you found a brand new iPhone 6 on the street that someone has lost? I have to return it. I have this perception of what is mine is mine. Like if someone brings a relish tray or cookies to work and sets them out, I have to ask if they are for everybody before I just go up and eat one. (That helps with calorie consumption.) The iPhone would be the same way. I have my own iPhone 5c, but it is mine and all my stuff is on there. That iPhone 6 would have a whole bunch of someone else stuff on it. I could erase it, except, it is their stuff. okay… On that note, I would get impulsively nosey and go through it with claims of trying to find the owner. Not to hold that information against them or be judgmental. Just fascinated with the human character. Like gaining insight. Those were really good questions. I ask the same 11 questions of the nominees. Really? Of course I want it. But how? I’d come away from the conversation more distraught over how much more willpower do I need, than filled with confidence that people do quit, with the proof right in front of me. Eventually I stumbled upon the False Quit Dates. I set a quit date, then of course I failed –again. I took a look at why I failed. For the most part there are all these promises of life getting better after quitting, and by the second or third day of withdrawal a person gets tired of waiting. Especially when everything gets worse instead of better. Once I submitted to the fact that withdrawal is withdrawal and it’s going to work in its own time, that I couldn’t do anything but just wait it out … I decided that I would have to work on my temperament. With that I set another quit date to see what else I could come up with. And that is how I came up with the False Quit Dates. I only needed the threat of quitting to work up another issue. I kept choosing the easiest issue that came up in hopes that the hard ones wouldn’t be so hard if I worked on the easy ones first. If you smoke, go ahead and give it a shot. Set your quit date for tomorrow. What is the first thing that comes up? Why does the idea of quitting tomorrow bother you? Put your reason in the comments. Or blog about your reason and link back here. And, don’t worry about it, it is not as if you are really going to quit tomorrow … Are you? No matter if you buy my Fruit of the Spirit books or not, the little experiment is easy enough to do … Take one day and work on Patience. Take another day to work on Kindness. Another for Goodness, Faithfulness, Gentleness and Self-control and we can meet here to compare notes. This fruity experiment is something I stumbled upon. I had an idea, I gave it a practice or two, worked some kinks out, I saw results, and I decided to share. I am not a professional in anything, I was aware of my surroundings and made it work. (Okay, I’m a certified floral designer, and I am not using that training.) But, I will say… If you ever received good advice but you were still left wondering how? I have too. A lot. This little experiment helped me to get down to the how. Take one day to try it out. You can add another day if you want but make it work to your own life. This site is under construction. I’m going to run a few prompts on here and we will see what happens. My editor will probably get a hold of this and make me make all sorts of changes too. So please stay tuned. If you want to take part in this fruity experiment go ahead share by your comments. If they get too big for the comment section, write it up on your blog and link to this page. 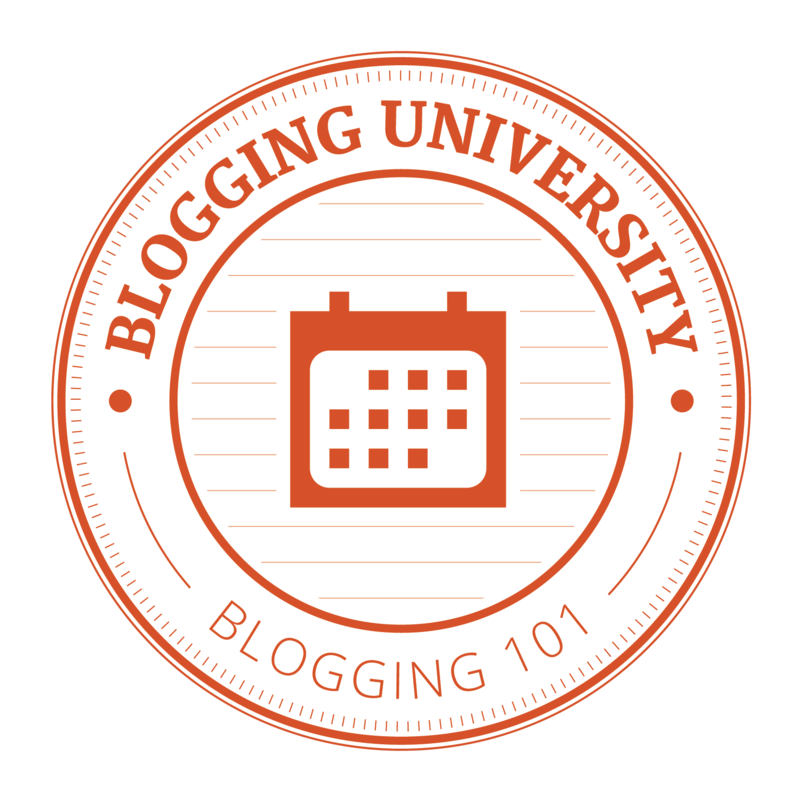 From our last blogging 101 exercise, I’ll be notified that you linked up to my blog and I can probably post a link. We will see…. I don’t know about anyone else but I jumped ahead on Blogging 101 and created pages, and filled them, I am really on Build A Better Blog Roll. I believe Blogging 201 started and I wanted to take part in that plus NaNoWriMo starts in 11 days. I want to create a post. I want to comment on a couple posts. I received a nomination for a blog award that I need to look up. Plus I work in 20 minutes. If today was my last day, I wouldn’t go into work. I’d do all this other stuff and spend the day with my husband, and invite my kids and neighbors over for supper … and maybe a couple other family members and friends. Preferably I would get in a run or a good workout over leaving all this stuff behind and going to my job. (Did I say that right?) Now, that my children are grown up, this proves that I stay busy, because I want to be busy. I have no idea why I ever used fear of being lazy as motivation to do more stuff. Being busy just comes naturally. Now that I feel like I put half a thought out there, I need to close this and go to work. Most of this was trying to sort out patience and self-control and how it relates to kindness, goodness, gentleness and having faith and being faithful. It was quite a word study while I was patiently waiting in line and at stop lights, without getting aggravated. I kept thinking Random Acts of Kindness had already been done. Don’t we know the lesson on kindness already? Besides, I needed kindness. That was the lesson. Kindness comes from me because I am a kind person. I have to feel and know kindness with in me to spread kindness to others. And really? If I can’t control others to show kindness to me … but if I can control myself? Then I show kindness to myself. Of course all this is done without being selfish. So the big practice for me that day was that kindness includes me, NOT instead of me. Goodness is my next release and it should be out soon. There is a 10 day wait for proofs, so I doubt it will be out by Halloween. Close, but not quite. We’ll see. I had trouble with this one as I thought being good and spreading goodness is what got me into trouble in the first place. You know, with running out of time. Not doing enough for yourself. Missing deadlines. Mostly because you always stop your stuff to run and do for someone else. Besides life was always proving that I could never be good enough anyway. Something was always wrong. We all know that we don’t have to be perfect, but someone’s got to point it out anyway. So that is where the work began. I declare, I’m not naughty, naughty, naughty! I am an Adult! People can try to accuse me of being naughty all they want, but I’m not going to feel it. Can I be responsible without being held accountable? And when you are really challenged with feeling guilty, think, “Is it about them, or is it about me?” If it is about them, there isn’t much you can do about it. If it is about you, then you need to step up your game…without feeling guilty.